Hold on to your arteries! This is a 28 pound sandwich with 35 different types of meat, created by British chef, Tristan Welch. Hot dogs and homemade chili wrapped with sausage and weaved bacon. Yes, each one probably has enough saturated fat to meet your yearly nutrition requirements, but they taste good. 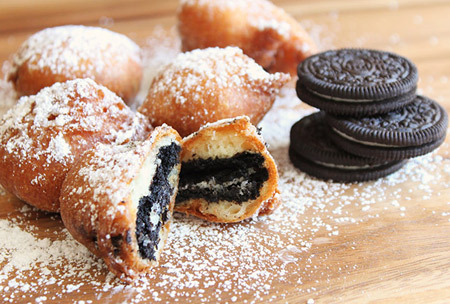 Fried Oreos are quite possibly one of the best and most sinful desserts ever. The recipe requires you to take one of the world's most beloved cookies, The Oreo, and straight up dip it in batter and fry it to heavenly goodness. 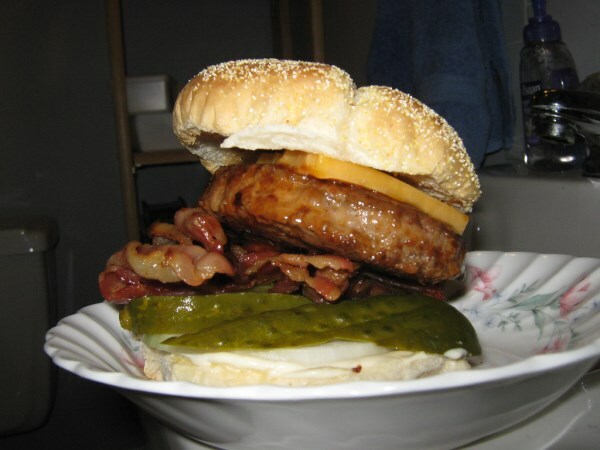 The world's most greasiest sandwich, made of nine slices of bacon, three steamed hot dogs, chips covered in cheese and gravy, a large french baguette, 12 eggs and pure maple syrup, packing in 207 grams, or half a pound, of fat. 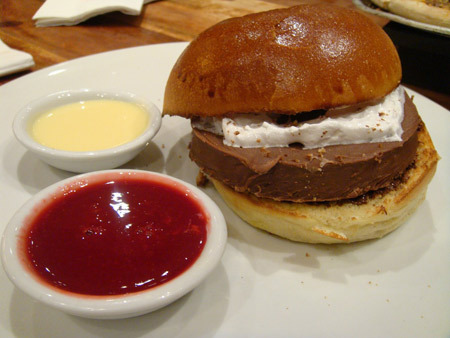 The Chocolate Burger is a patty of pure milk chocolate ganache topped with a thin layer of melted marshmallow on a brioche bun, with strawberry sauce ("ketchup") and melted white chocolate sauce (“mayonnaise”) on the side. 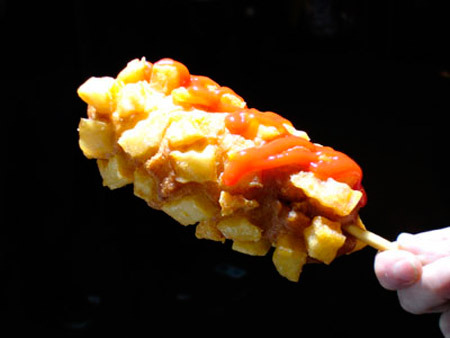 Hot dog wrapped w/fries on a stick. 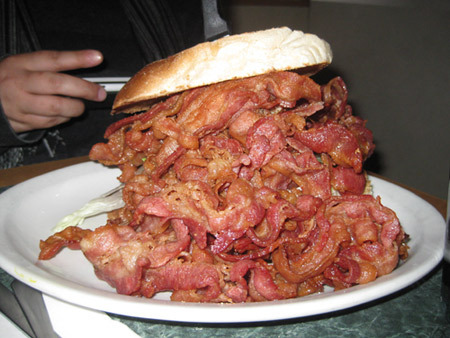 There's nothing like a juicy burger or a little bacon. The bacon milkshake regular, 16-ounce size has 773 calories, 40 grams of fat, and 75 grams of sugar. 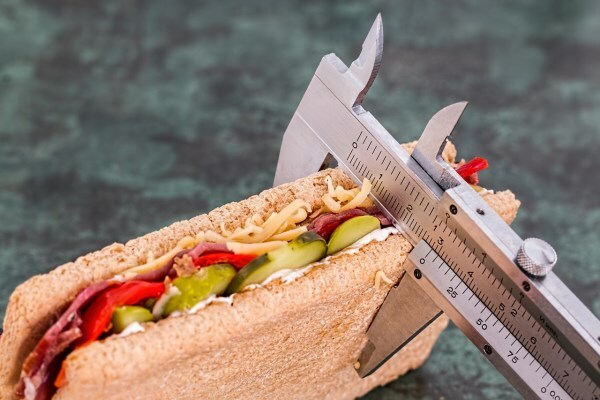 The 24-ounce size has 54 grams of fat and 1,081 calories (to put that in perspective, the recommended daily calorie intake for an average size woman is 2,000 calories). 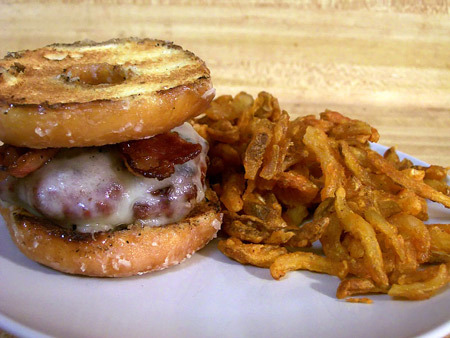 A Luther Burger, or doughnut burger (among several name variations), is a hamburger or cheeseburger with one or more glazed doughnuts in place of the bun. 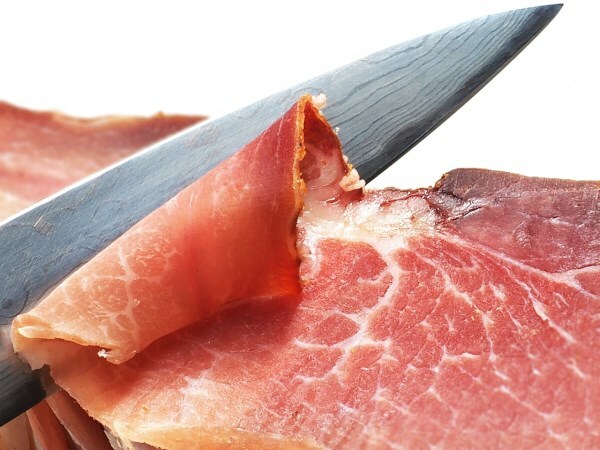 These sandwiches have a disputed origin, and tend to run between approximately 800 and 1,500 calories. 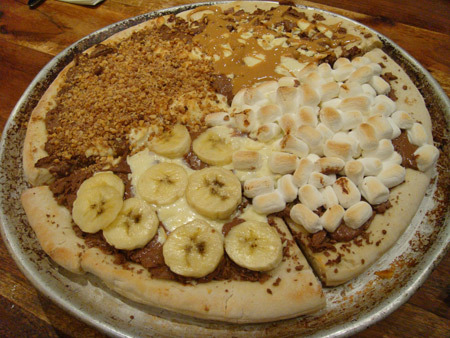 The Chocolate Pizza is a warm, thin pastry topped with melted double chocolate chunks, melted marshmallows, candied crunchy hazelnut bits, bananas and peanut butter. It can't cause cardiac arrest because it's so damn cute right? 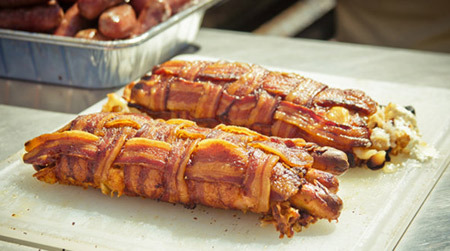 This is a hamburger patty, topped with sharp cheddar, enveloped in a bacon weave with hot dog appendages. 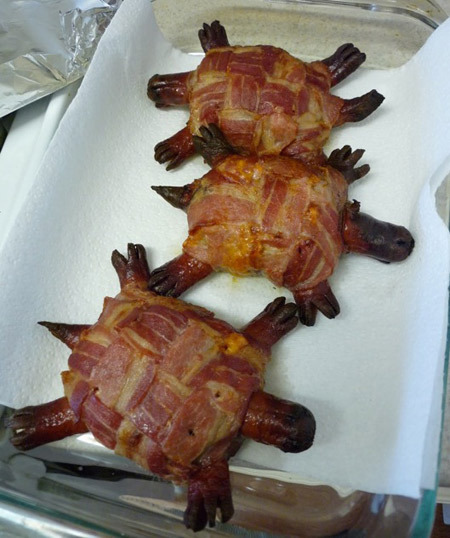 Meet the Turtle Burger. 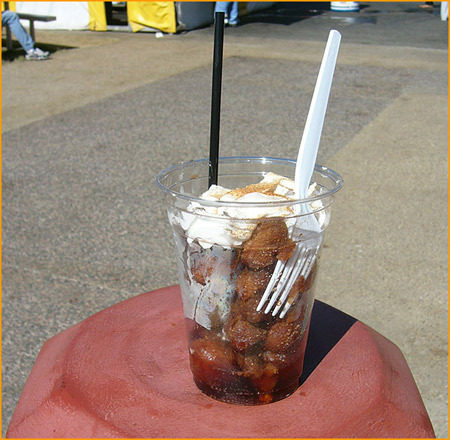 Fried coke is frozen coca-cola-flavored batter which is deep fried and then topped with concentrated coca-cola syrup, whipped cream, cinnamon sugar and finished off with a cherry. It was introduced at the 2006 Texas State Fair and was very popular, selling 10,000 cups in the first two weeks. Fried Coke is estimated to have approx. 830 calories per cup.